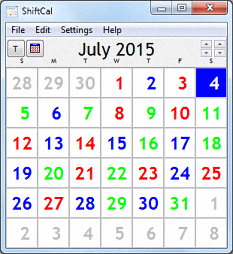 ShiftCal® is a platoon-based calendar for emergency service agencies working 24-hour shifts. Windows® 10, 8, 7, Vista, and XP. many appear on the Shift Schedules page.